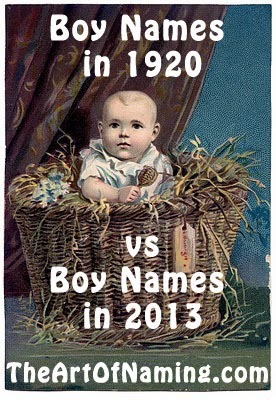 The year 1920 was big and booming for many baby names. I thought it would be fun to take a look at a few different categories of names from 1920 and see how they compare to the recent 2013 list. These names just keep hanging in there as the years pass by. 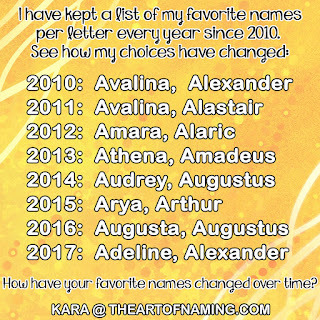 Other names have not been so lucky. Imagine how many more names have fallen off the Top 1000 chart since then too, but I can't list all of them. Do you think any of these will ever make a comeback? Note: Some of these were rather unisex in 1920 and/or are still rather unisex today, but I based it on the number of births in 1920 and 2013 to compile the list: i.e. more boy births in 1920 and more girl births in 2013. The middle-ground was all over the place. What do you think of these lists? Will any of the Team Switchers ever switch back to the opposite gender? Let me know your thoughts in the comment section below or on Facebook!